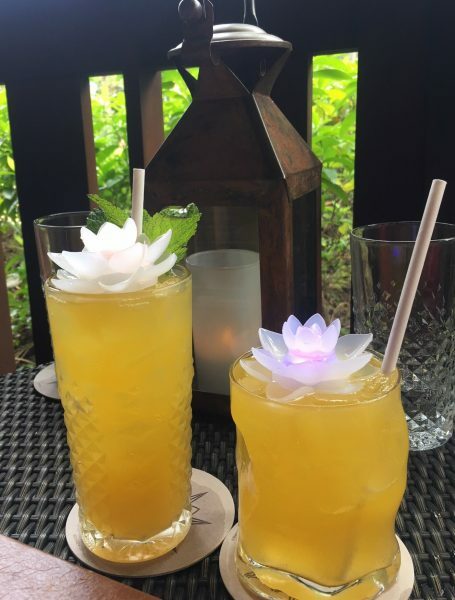 Beverage Recon: Nomad Lounge in Disney’s Animal Kingdom | It's "All in WDW"
As we all know, Disney’s Animal Kingdom has been going through many, many changes over the past few years. In my opinion, one of their newest additions has not yet been appropriately noticed by the Disney masses. What is it? Tiffins? Nope. Located at the main entrance to Pandora, and right next to much-ballyhooed Tiffins is … Nomad Lounge! Check out Nomad’s lounge menu at this link! Nomad Lounge is an adult paradise! Their huge wrap-a-round outdoor seating area features tables for two and for four with comfy chairs and couches for all. They boast a full-service bar outside! In addition, perfect for hot Florida days, they also house a nice bar inside. It provides Nomad with a vast amount of seating. The lounge offers a tasty-looking small plate menu which ranges from Vegetarian Pad Thai to African-spiced Wagyu Beef Sliders. They serve other intriguing items such as Florida Lionfish Tacos, Pork Ribs, as well as Tiffins Bread Service. Having said all that, we didn’t come for food. We came in search of delicious adult beverages! Let’s hop right into those! The first one we tried was the Annapurna Zing. A Bombay Sapphire gin-based drink, we ordered both the adult and non-alcoholic versions. Why? Our family is growing by a set of Mickey ears. We’re pregnant! The alcoholic version of the drink was much better than the non-alcoholic. The reason? Honestly, the alcohol cuts the taste of the drink’s ginger beer and lime juice. Note: the non-alcoholic version is in the tall glass. The “adult” is in the short glass. 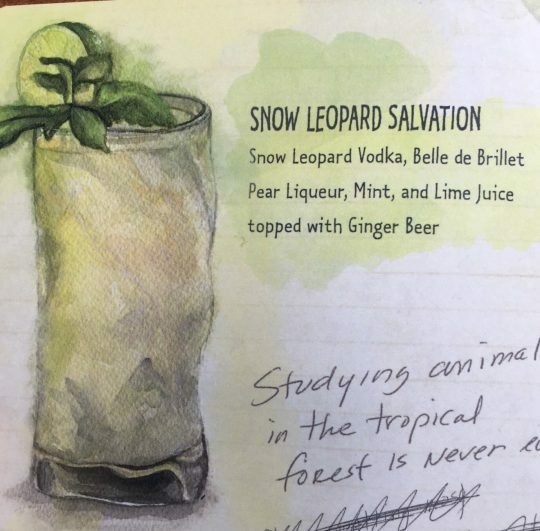 The second drink I tried is called the Snow Leopard Salvation. Made with Snow Leopard Vodka, it was really good! To me, it tasted just like a Moscow Mule. Quite refreshing on a hot Summer night! The next beverage in which I wanted to indulge was called Mustang Coffee. 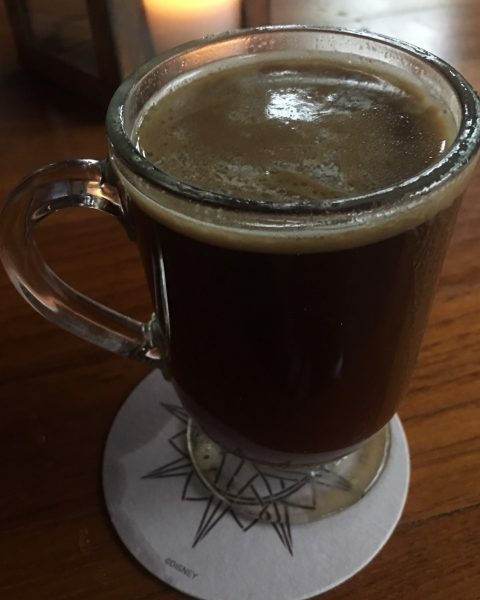 It was pressed hot coffee that was laden with Crown Royal, brown sugar, and butter. What?! Folks, all I can say is … coffee lovers’ beware! This coffee should be on your radar. Even on a hot day, it was still a thirst-quenching drink that went down very smoothly. Finally, I sampled Jenn’s Tattoo. Ketel One Vodka-based, the drink had tremendous flavor. 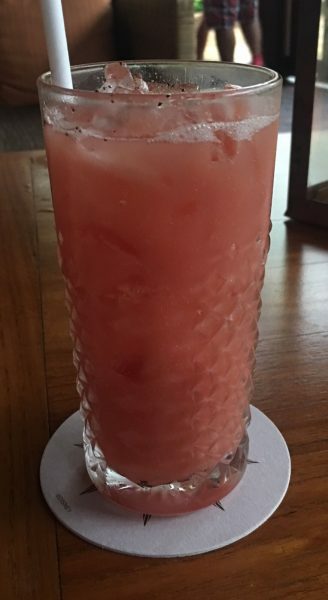 I picked up a hint of cucumber which added to the beverage’s watermelon, hibiscus, and lime juice taste. I guess our verdict goes without saying … this bar is definitely a “must do” for any cocktail enthusiast. Add it to your list of future Animal Kingdom stops. Better do it now! The place won’t stay a secret for long! ← What? Food & Wine Continues? Holiday Kitchen Menus are HERE!